NoBodys Darlin411 Blog Category---Is My Camera Haunted -This is a fun category exploring photography and folklore and superstitions that some may or may not believe !! It is still fun !! This photo is called Creepy Face !!
" 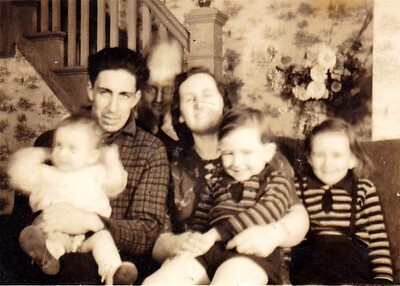 This creepy face in between my great -grandparents heads" By- gdorfz Folklore #A Mirrors steal the soul because of the silver in it..Photographic film has silver also and is thought by some to steal your soul should you have your photo taken ! To free your soul from a photo it must be ripped to pieces to release the soul ! B.-You are about to die if you are in a color photograph but you appear black and white! C.- Always make the first picture of the roll of film be an object not a person ,you will bring bad luck !! 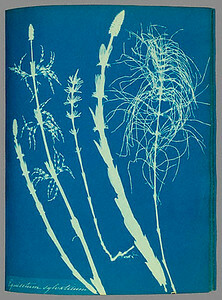 D.-Photos are used in voodoo,Hoodoo,And witchcraft to cast spells. To free yourself you must bless the corners with Sage ! E.-An intuitive can use a photo as a window to your soul to discern information about you!! F.- Some religions believe that the harddrive (digital) can entrap your soul !! G.- Many Native American Tribes refuse to be photographed. Crazy Horse was never photographed in his life. 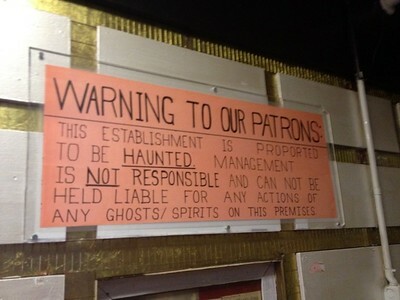 This photo was taken on a tour of Bobby Mackey's. 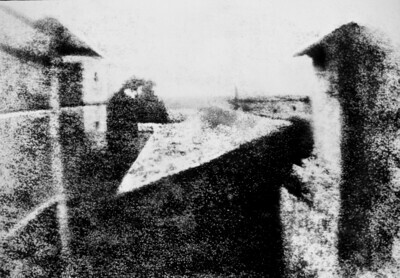 The ghost was not visible to the naked eye . Other photos of the same room show nothing. ryanellison1983 For more Fun Photo Folklore Google These: "The Power of the Photograph" "The Photograph and Superstition" "The Photograph and Psychic Mystery" "Photography and Ghosts"
This was the home of the Moore family. 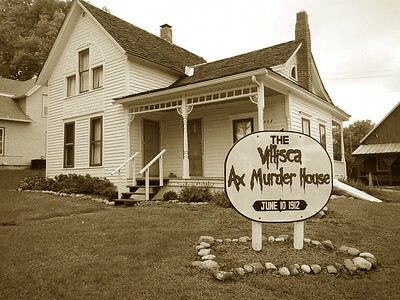 The whole family of 6 and two young girls on a sleep over were brutally axed to death.Many reports of paranormal activity here and if spending an over night tour people have reported that they have been held or touched !! 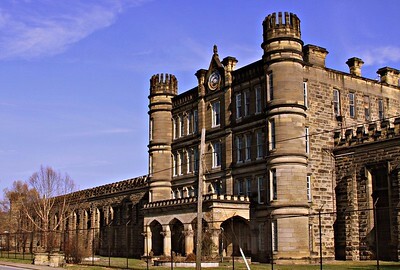 Built in 1886 and closed in 1990. This place was known for its brutal and inhumane treatment and living conditions. The reformatory was overcrowded and violent. Many young offenders died here. Just looking at it gives me the creeps !! Those who died an agonizing death from tuberculosis have been said to haunt the hallways.Horrible experimental surgeries were done . The Creeper-an evil spirit is said to contribute to the dark energy of this place !! 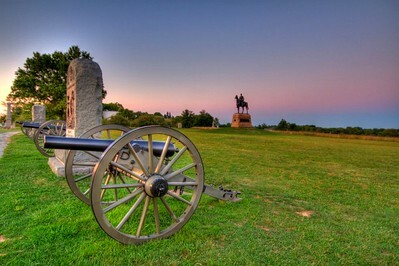 Many ghosts of soldiers have been reported - over 50,000 soldiers died on these grounds. It is one of the bloodiest of the Civil War . Moans,screams gun and cannon fire sounds are heard. Yes,This is the Hotel from the movie The Shining. 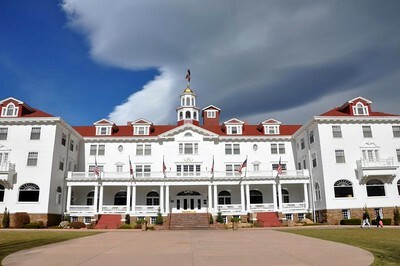 It is one of the most haunted hotel in the U.S. If you are brave enough---- book a room !! In operation for 100 years it was home to the most violent criminals. 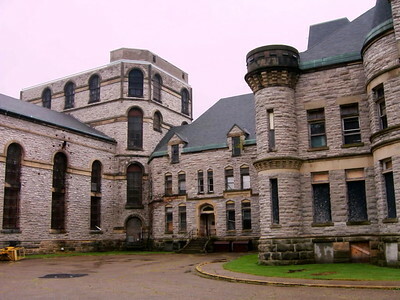 Over 1000 inmates have died here from suicide,executions and murdered by fellow inmates. 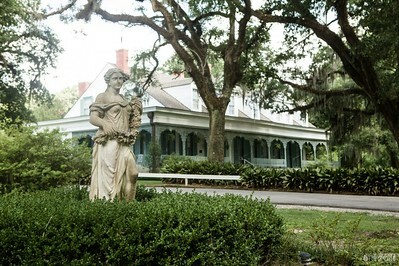 Built over a First Nations burial ground,visitors have seen ghosts of children ,a lady who appears then vanishes ,and handprints on the windows !It is believed that 10 murders have taken place here at Myrtles Plantation. You probably have heard of this haunted place ,legend has it that it is the gateway to Hell ! There have been murders here-Pearl Bryan for one ,also it has been cursed by devil worshipers ! 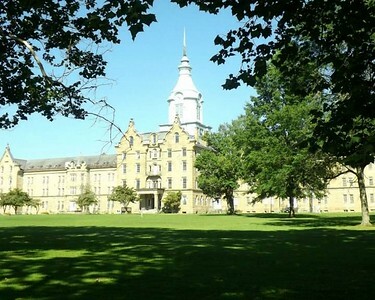 !This nightclub owned by country singer Bob Mackey is the most haunted of all in the United States. This place has more than great brew -it has angry ghosts !! 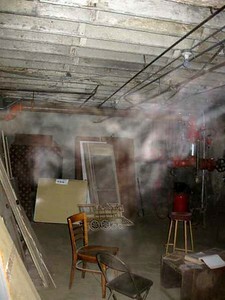 Patrons and staff have claimed to see and attacked by creepy apparitions!! Built in 1864 closed 1994. 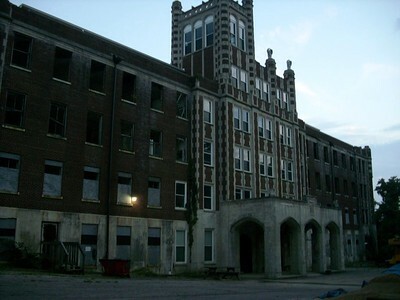 1000's of mentally ill people died here. 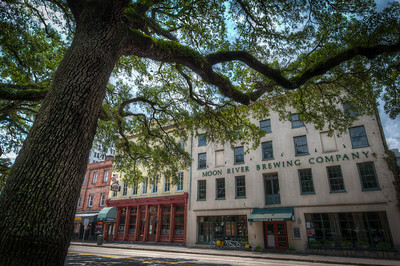 There are ghost tours with experienced guides should you dare to visit. 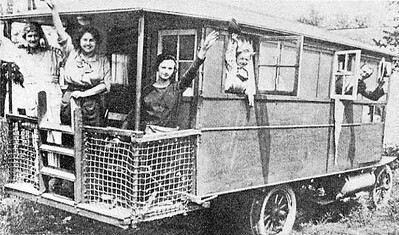 The very first motorhome built in 1910 on a Packard truck chasis. (3 ton ) It was 28 ft. long 61/2 ft. wide,slept 11 people. It had an icebox,toilet.salon(kitchen). It was used until 1924. Cool Huh ? From 1901 to 1910 Cars had beds ,small kitchens,some had hot and cold running water !!! Then, simple wooden structures were built on car chasis !!!! They sure look happy in the photo!!! 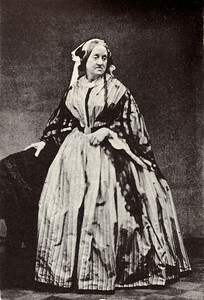 The only photo of Constance Talbot. 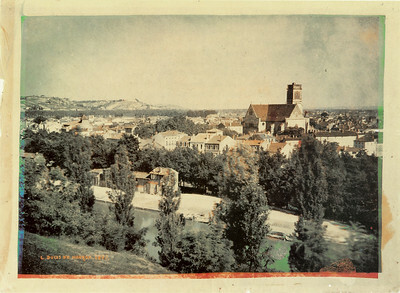 1811-1880. 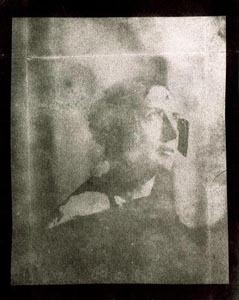 Married William Henry Fox Talbot in 1832. 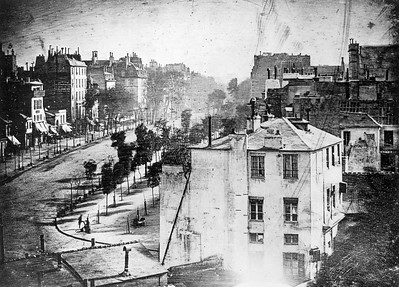 Some believe her to be the first female photographer. 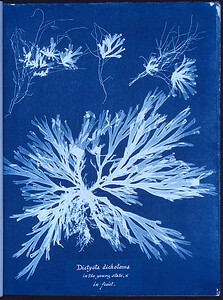 Atkins Cyanotype. Very beautiful even for today !! 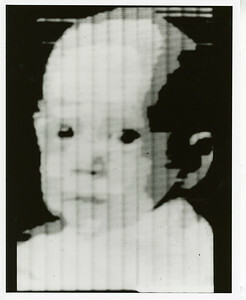 30 years later in 1993, the younger Mr. Kirsch was scanned nightly on KGW-TV channel 8 in Portland, Oregon. Some more history of firsts :1900- Kodak Brownie Box Camera 1901-Kodak 120 film format 1909- Kodak announces 35mm safety Film for Motion Pictures. 1912- Kodak Vest Pocket uses 127 film. 1914- First feature film in color "The World,the Flesh and the Devil". 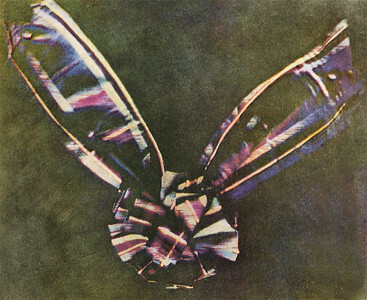 1923- Harold Edgarton invents the Xenon Flash Lamp for strobe photography. 1925- Lieca introduces 35mm format to still photography. 1935- The first 135mm film cartridge introduced. 1948- The Hasselblad camera introduced. 1948- Edwin H. Land = first Polaroid instant camera. 1957- 1st. Asahi Pentex SLR. 1959- 1st. Nkon F. 1992- 1st. Photo CD by Kodak. 1995- Kodak DC40 and Apple QuickTake 100 - 1st. digital consumer cameras. 2000- J-SH04 by Jphone 1st. mobile phones with camera to take and share photos.